LITTLE WOMEN is Louisa May Alcott's classic story of four sisters in Civil War era New England. While the strong religious themes in Alcott's book are toned down, the movie does contain positive Christian characters & actions, strong parental figures, chaste courtships, and especially winning performances by Winona Ryder, Kirsten Dunst and Claire Danes. 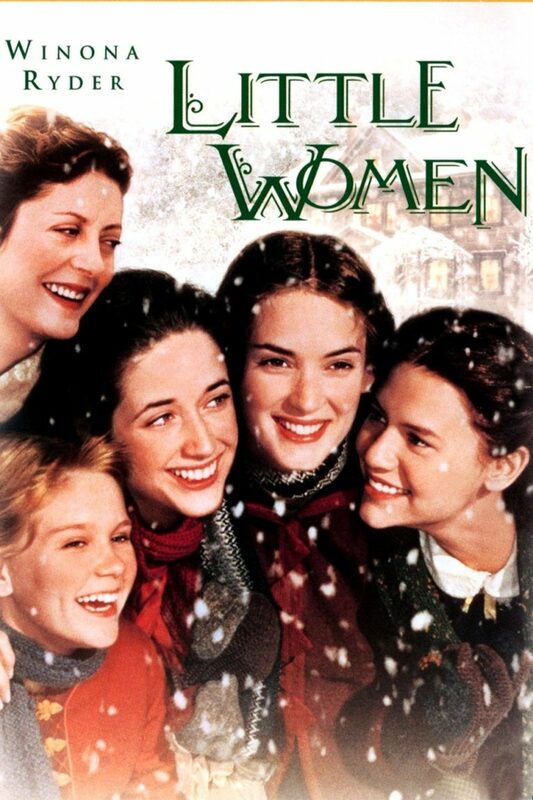 LITTLE WOMEN is the second cinematic adaptation of Louisa May Alcott’s classic tale of the four March sisters, Meg, Jo, Beth, and Amy, who grow up economically poor but spiritually rich to find love, success and happiness. The linchpin of the movie is Jo (she is Louis May Alcott idealized). A restless spirit imprisoned by convention and long skirts, Jo longs to go to college and succeed. She directs her longings and energy into her stories, which occasionally bring some much-needed money to the family. Meanwhile, her volatile nature leads her to temperamental outbursts and abrupt, although generous, acts (such as selling her hair for money to send to her war-injured father). Director Gillian Armstrong deftly weaves the scenes from Alcott’s book into a coherent plot, with Jo’s growth from wild girl to strong, disciplined, accomplished, young woman as the unifying thread. Ryder overcomes her sometimes forced dialogue with a dynamic performance. It is interesting to note that the strong religious themes in Alcott’s book are down-played in the movie. The fact that Mr. March is a reverend is never mentioned, and the scene in which the Professor eloquently defends God is not included. The emphasis in LITTLE WOMEN is on Jo’s personal growth and sisterhood. However, the movie still makes it clear, through its music and general theme, that it is Heaven where salvation lies. (B, C) Moral worldview with positive Christian characters & actions, strong parental figures & chaste courtships, but no mention of Jesus Christ.